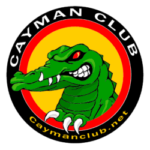 Welcome to the all new Cayman Club website and blog. This is my first post on this site to set something up, feel free to reply or create your own. While we are not trying to create a forum (Planet-9 is good for that!) we do want to have a way for club members to share information with other members and posting to this Blog is one way to do that. our club logo – Available as a Window Decal! 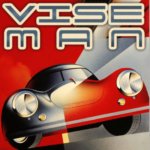 Hi, I am a new member and a finnish lawyer who has owned two 911-Carreras (Carrera 2006 and Carrera 4 2009) before and I recently bought a Cayman S 2006. I some times am driving at the track for fun (Botniaring in Jurva Finland). Not easy to explain, but I somehow like my Cayman more than my recent Carreras. Cayman looks more like a sportscar, but of course that is a matter of taste.